You will be redirected to MANUAL PARTITIONING screen. 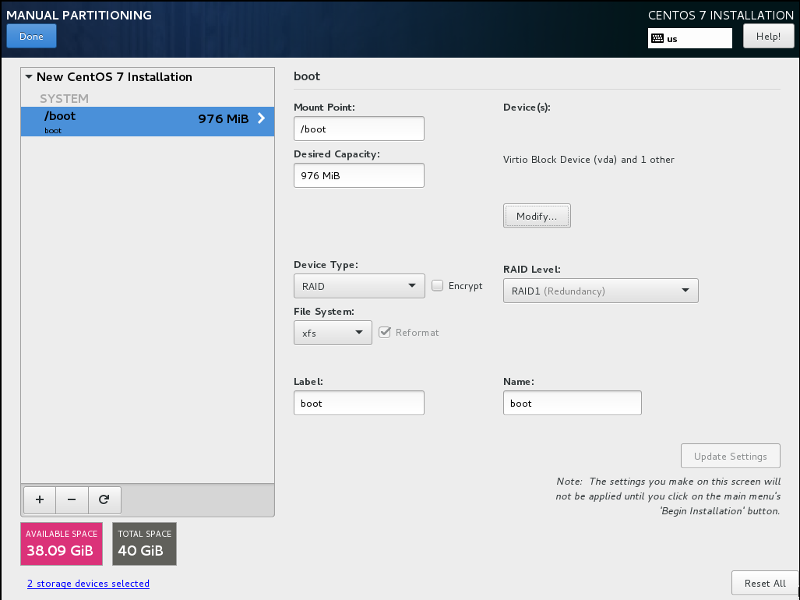 Now let’s create swap and root partitions. 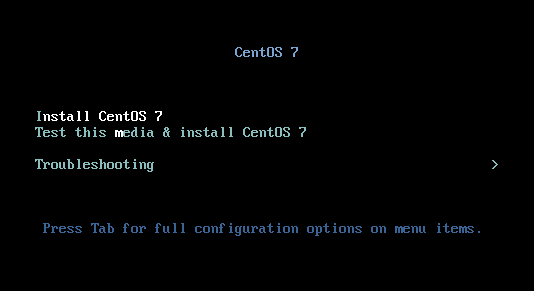 We will create them inside the volume group called centos which will be placed on top of RAID 1.
root partition is now created as a Logical Volume named centos-root. 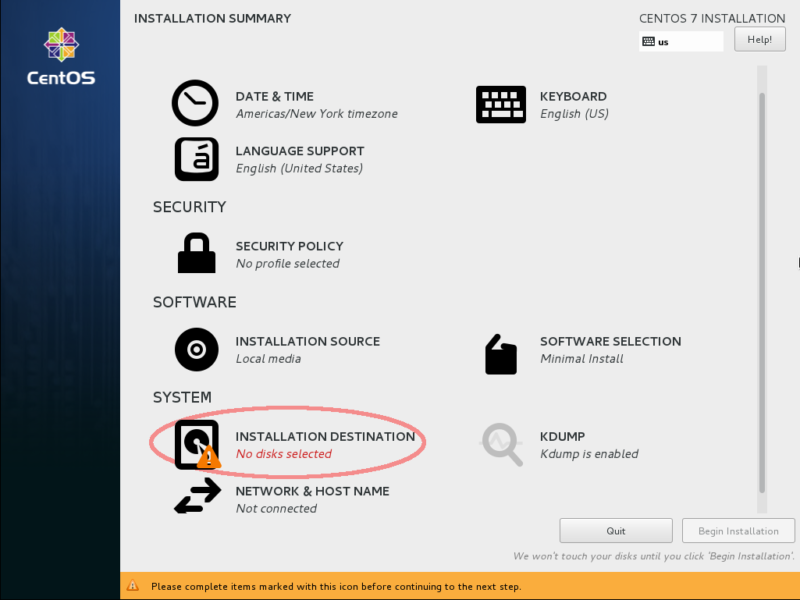 Click on Done button, accept all the changes made to the partitions on SUMMARY OF CHANGES screen, return to INSTALLATION SUMMARY screen and continue installation as usual. 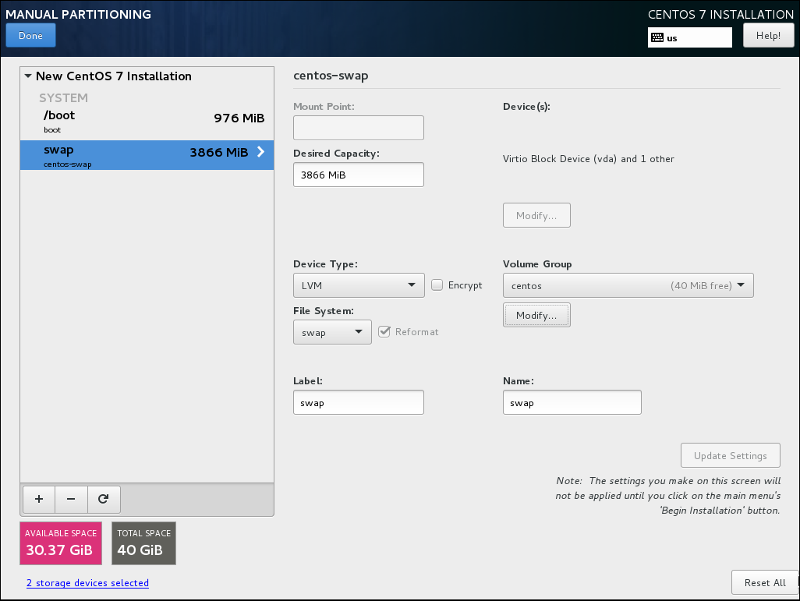 After the installation is completed, make a brief verification of the disk layout and patitioning. In the above code snippet the Personalities parameter informs us what RAID level the kernel currently supports, while md126 and md127 describe arrays of redundand disks. md126 array consists of vdb1 and vda1 disks, while md127 consists of vdb2 and vda2. Both arrays are in active state, the [UU] sign for each array means that both devices in the array are Up and running. A failed device would display (F) letter, the degraded array would be visible with one disk down marked with (_), for example [U_]. /dev/vda1: UUID="50be4267-a342-5f26-c1f7-01d9b6f2b3d8" UUID_SUB="3fe07c86-0b73-824c-5745-1f618eea02a6" LABEL="centos7:boot" TYPE="linux_raid_member"
/dev/vdb1: UUID="50be4267-a342-5f26-c1f7-01d9b6f2b3d8" UUID_SUB="30d9832a-15a8-68c2-fa75-772ea69e5a9d" LABEL="centos7:boot" TYPE="linux_raid_member"